Research: A prerequisite for robotic collision-free navigation in populated places is detection of walking by people. In contrast to generic targets, possibly moving stochastically, human walking exhibits recurrent patterns both in the behavioral level, as people tend to follow specific paths, and in the motion level, as human body makes specific stereotyped movements during walking. Cooperation between robots can help to achieve higher overall efficiency due to occlusion accommodation. 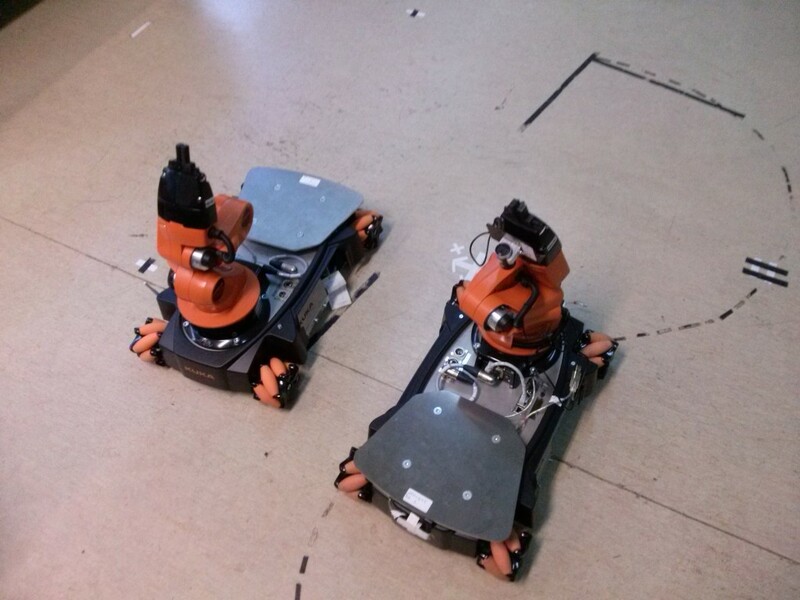 The focus of our work is to endow a moving mobile robot with the capability of distinguishing between static background and dynamic foreground without the need for accurate localization, of tracking either walking people, or other moving objects, as well as to develop methods augmenting the overall environmental perception through cooperation between multiple robots. The KUKA youBot consists of an omnidirectional mobile platform on which a five-axis robot arm with a gripper is installed. Control Systems Lab possesses 2 such robots mainly used for cooperative manipulation in non-free from obstacles indoors environments. Pioneer 2 AT robot, by ActivMedia Inc.
PIONEER 3-AT is a versatile all-terrain robotic platform well suited for outdoor projects. It is often used for research and prototyping applications involving monitoring, reconnaissance, vision, mapping etc. 6. Payload of up to 30 kg. 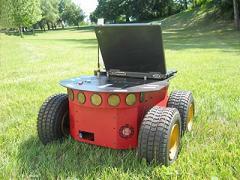 Control Systems Lab possesses 1 such robot mainly used in large-scale outdoor experiments on variable terrains. 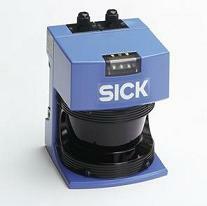 LMS 200 laser rangefinder, by SICK Inc.
SICK LMS 200 is a non-contact laser measurement system, which is used for applications involving measurement of objects and position determination, monitoring areas, vehicle guidance and collision control. Laser rangefinders are typically based on the time-of-flight measurement in terms that they calculate distances to objects using the time between sending and receiving the beam of light. Control Systems Laboratory has 3 SICK LMS 200 laser rangefinders, meaning that each of the Pioneer 3 DX robots are equipped with this type of sensor. In the context of the currently conducted research, laser rangefinders are employed in localization, mapping and applications involving dynamic environment perception. VC-C4 robotic camera, by Canon Inc.
PTZ (Pan-Tilt-Zoom) cameras are typically used for video conferencing, distance learning, general video, or enhanced security monitoring. VC-C4 is fully and automatically teleoperated, in terms that it can be controlled by software. Control Systems Laboratory uses the PTZ camera for object detection applications, as well as for general environment perception. The appliance is mounted on a Pioneer 3 DX robot and cooperates with a frame grabbing system. Image processing algorithms, which vary from pixel segmentation and labelling to optical flow, are running in real time on the onboard computer. 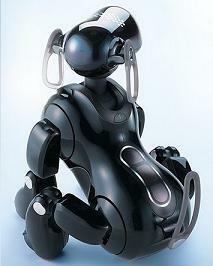 AIBO is a robotic pet originally designed for home entertainment. It is able to walk, see its environment and recognize spoken commands through its integrated sensors. Due to the latter fact the AIBO has seen use as a platform for artificial intelligence research. Control Systems Laboratory employs the AIBO robot in the context of research on quadruped walking patterns (gaits) and reactive behaviors.